One-stop-shop for environmentally friendly baby and family products. Every product is well researched and test-driven by the founding moms. Site includes Better Bits: tips, tricks, and experiences about products. Site motto: Better for your baby. Better for our planet. Better Baby Bums is offering one reader a $50 Gift Card! There are three ways to enter. You may not enter more than three times. Please leave a separate comment for each entry. Please include your email address if your profile does not offer that information. The first way to enter this contest is to simply leave a comment. That's it! A second way to enter this contest is to tweet about it. After sending your tweet, leave a comment letting me know that you used twitter to spread the word. A third way to enter is to post about the contest on facebook. After posting on facebook, leave a comment letting me know that you used facebook to spread the word. Contest ends on Friday, March 5 at 11:59pm (EST). And thank you, Better Baby Bums! I may order the Boon sippy cup -- looks interesting and maybe Ella would USE it! I love your vlogs, but they make me miss you! I may have to get Ella some sippy cups! Gotta love a giveaway! Great site. I am so glad this is back!!! Woo hoo, love the site and the products. Love the bath stuff, I bet it would do GREAT on Parker's skin. He's super sensitive! Awwww someone knows she is a little cutie pie doesn't she? lol Sounds like my kind of website. We do cloth diapers, but I am very interested in their skincare products. Love it when baby products and environmentally friendly meet! Sounds perfect! I have two crazy kiddos so the gift card would be put to great use! I used Twitter to spread the word about Better Baby Bums! Hi! Would love to win a gift card for natural parenting products!! God knows I could use it. 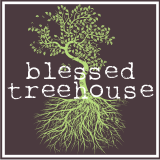 I love the blessed treehouse, this site is great for all my green living. With 3 kids, I am always looking for a break. The gift card would be very nice indeed. I love all of the bath things for little one's skin. Thanks!! The best year of my life. "So what do you do all day?" Don't you dare grow up. Because I'm turning 30 . . .